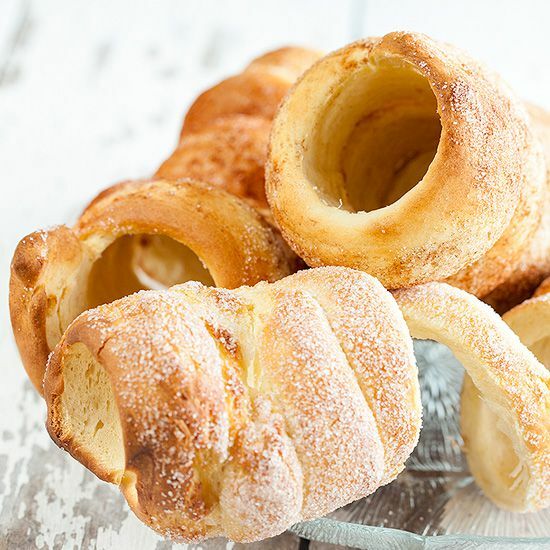 Hungarian treat: kurtos kalacs. Also called a chimney cake, for it's chimney-like appearance. Amazingly fun to eat! WARM up the milk some what in the small saucepan over medium-low heat. COMBINE the warm milk, sugar and yeast into the big bowl and give it a good stir. SET aside for 5 minutes or until a thick bubbly foam has formed on top of the milk. COMBINE flour and salt in the stand mixer’s bowl. 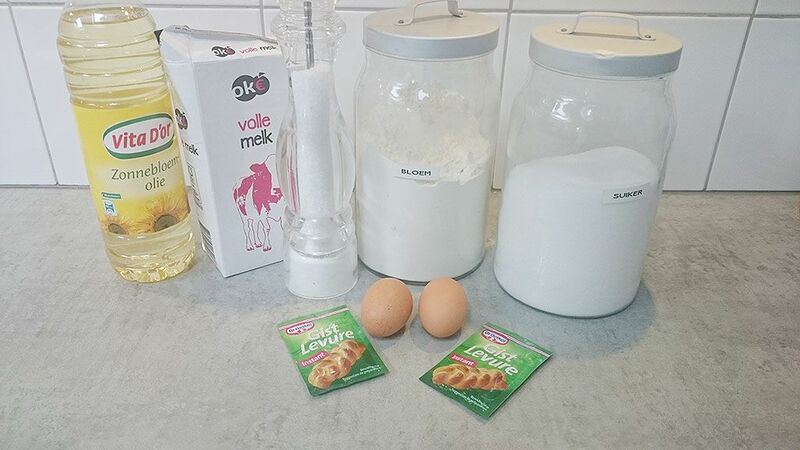 Make a hole in the center and pour in vegetable oil, two eggs and the milk mixture. MIX using the medium setting for about 5 to 10 minutes, depending on your stand mixer. Our Kitchenaid stand mixer only took 5 minutes. 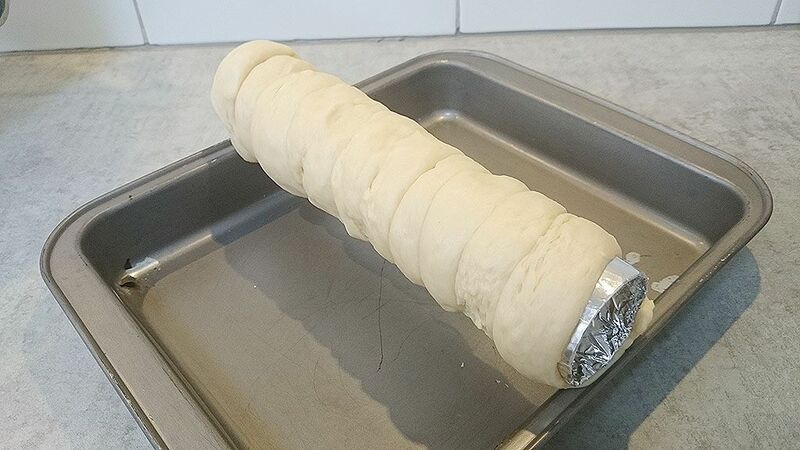 The chimney cake dough is ready when the dough has become a solid mass, and does not stick to your hands. Don’t add in extra flour if you notice that the dough is too sticky, add in a few more drops of vegetable oil instead. 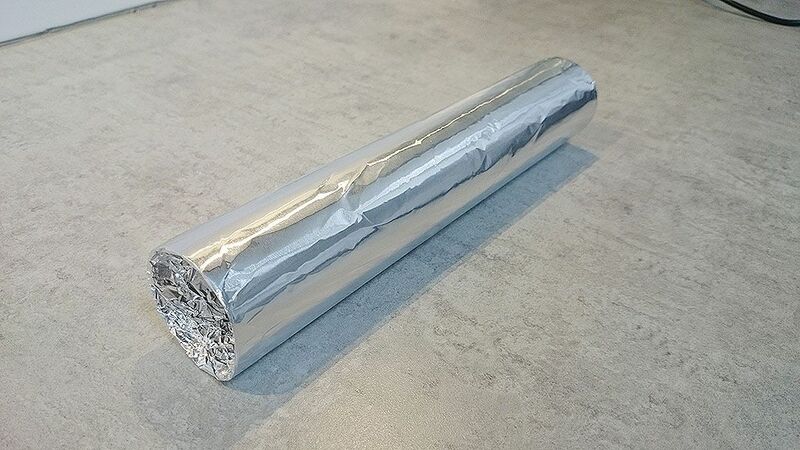 COVER with cling film and set aside to rest for 1 hour, or doubled in size. WHEN the kurtos kalac dough has doubled in size, place it on a clean working surface. Don’t sprinkle your counter top with flour beforehand. KNEAD the dough until smooth, then divide into six portions. ROLL each portion into a long string and roll it onto the prepared holder. The thicker these strings are, the more soft they will be eventually. Test a few out to see which thickness you prefer. PRE-HEAT your oven to a temperature of 200 degrees celsius, or 392 degrees fahrenheit. SPRINKLE each kurtos kalac with sugar and/or cinnamon. We like the version with sugar and cinnamon best! 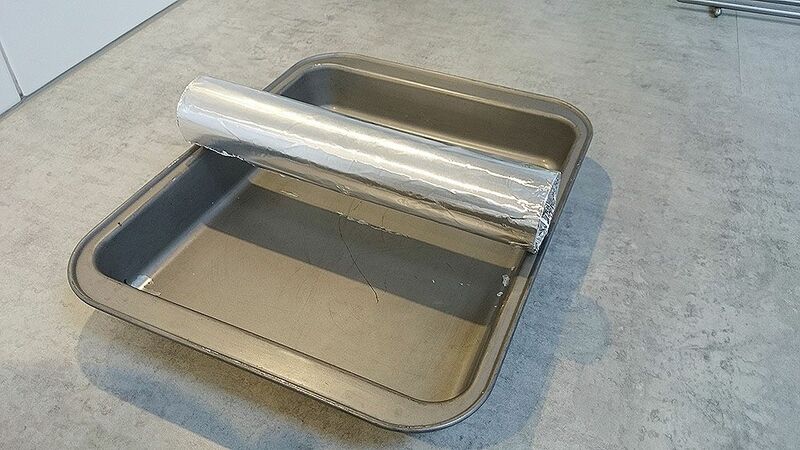 PLACE each holder on the edges of your baking tray, and bake them for about 10 to 15 minutes. ROLL each holder once in a while, so that the crust color is evenly browned. When done baking, it’s best to eat the chimney cakes immediately. But you can store these for up to two days, when wrapped in cling film. We certainly liked these kurtos kalacs very much, ever so since we ate them at the Sziget festival in Budapest, Hungary. Enjoy! I was looking for a good recipe. Now I found it. Good and easy. Delicious! Hi Pierre, hope it works out after the second try! I ate these in Transylvania two weeks ago and bought the molds to make them. But the recipe was in Romanian! Thanks for your recipe. You’re welcome Sandra! We ate these in Budapest a few years back ! I am so happy to see this recipe and great instructions! We have 3 Hungarian students spend the summer with us and would be thrilled to have some. I will try making it this week! 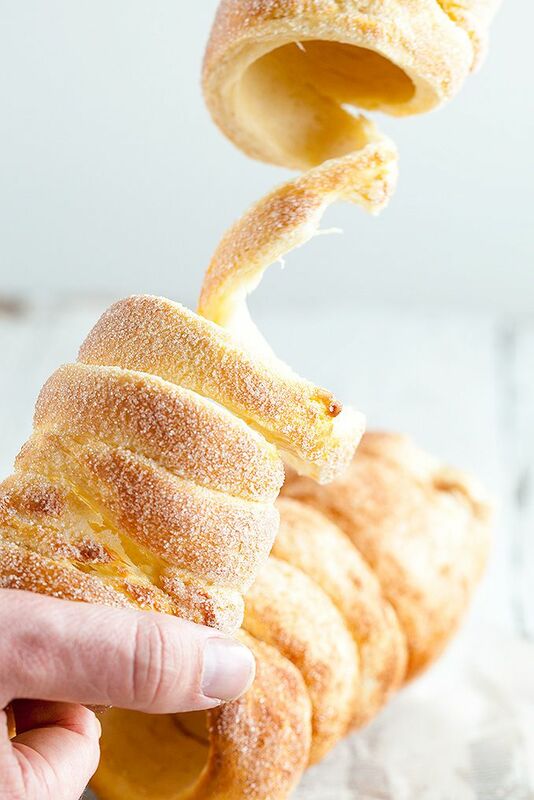 My husband and I just visited Budapest and fell in love with the chimney cakes. How pleased we were to find the molds in the basement of the Central market! thank you for the recipe. Can’t wait to try it! 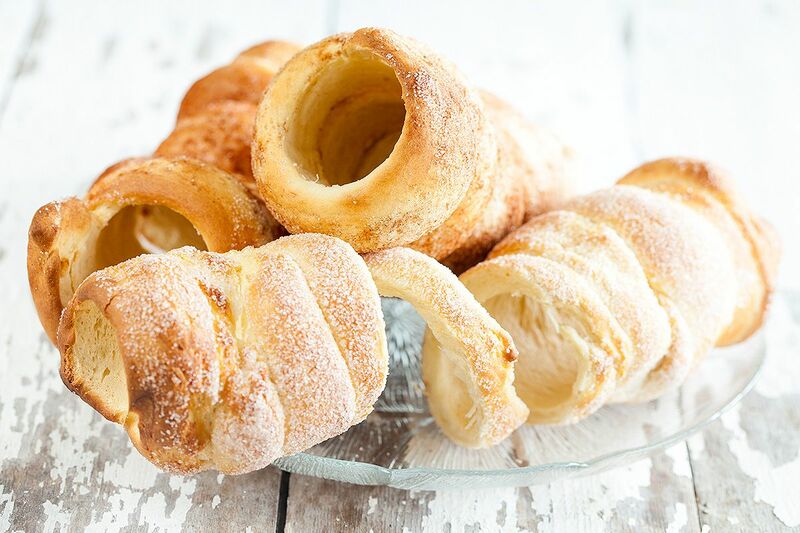 We also fell in love with the chimney cakes during a visit to Budapest :) How great you found the molds, enjoy making and eating them at home! i make this over and over but after cooking my cake is very fragile and broken easily. what must be i do for a soft chimney? Hi Nora, every oven is different. This might be the culprit, try baking the cake for less time. The outside should be crispy while having a softer inside. Hope this helps you!